Repair corrupted and damaged cdr files. Recover permanently deleted cdr files. Scanning and loading complete data of CDR files. Option to minimize and maximize image within the tool. No limitation on file size for cdr recovery. Compatible with all Windows OS versions. 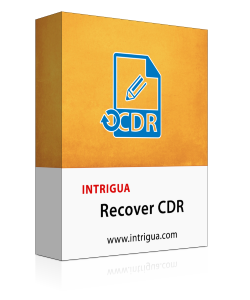 CDR file recovery tool allows to restore the deleted or corrupted CorelDraw cdr files into a fresh file. 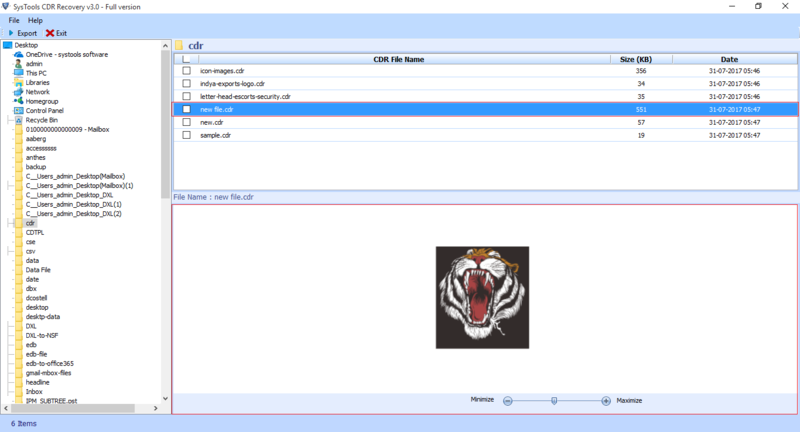 This tool scans the corrupted cdr files and give the preview of complete cdr data without losing any single bit of information during recovery process. If the cdr recovery tool detects the file to be damaged due to some corruption issues then this tool also allows you to look complete data of cdr file with all its details like size & date. 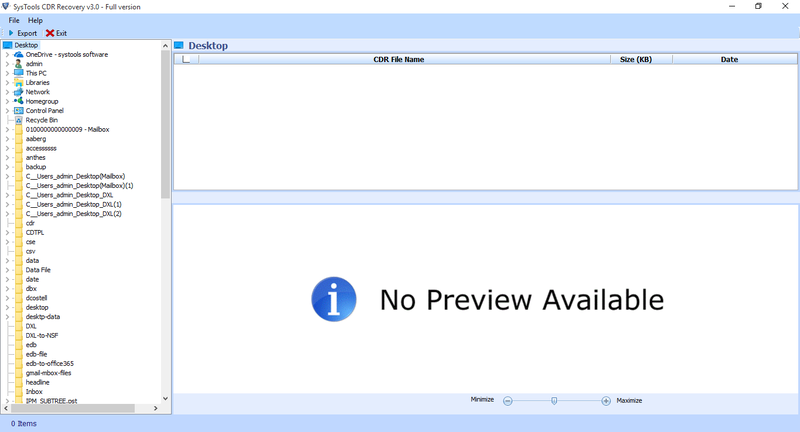 So user can get preview of complete cdr file before its recovery. CDR file recovery tool repairs the multiple CorelDraw cdr files at once. The file may be damaged or corrupted, the software will reconstruct the files into its original structure. The cdr recovery tool provides the option to export corel draw data file into new fresh cdr file after recovering of damaged and deleted file. This export will take place without harming its data integrity. User can change the cdr file image size before exporting it into new cdr file by using built-in sliding bar within the tool interface. After changing the size you can export the CorelDraw file. Corrupted cdr file recovery software has the feature to keep original structure of cdr file same as it was before recovering of file. Data integrity remains intact even after and during its recovering, repairing and exporting process. A CDR file is a vector drawing file which is created by CorelDraw application also known as vector illustration and page layout program. This document file is contained with text, lines, shapes, colors, images or effects. This cdr files is used to create documents such as web banners, tabloids, brochures, letters etc. CDR is the main file type created by Coreldraw. It can be saved as a layout to reuse the document layout again. The template file will be saved in .CDT file. CDR format file can be opened in Coreldraw application without lossing any information. If any documents or data is deleted from file, it can be recovered using CDR file recovery tool. It repairs the damaged file and again export it into CDR format. The error may occur if a user try to save large number of files in network drive. If a files are not saved properly due to hanging of the program. If the documents created in earlier version of application is not accessible in later versions of program. Step 1: Launch the Software. Step 2: Preview of CDR documents. Step 3: Click on Export option. Step 4: File exported successfully. This video is provided here for our user to get an easy understating of software working procedure. Play video and follow the steps guided in it to Recover damaged and deleted CDR file data. Is CDR Recovery Tool is supported by Windows 10? Yes, it is supported to all latest versions of Windows OS 10, 8 and below versions. Is it also supported by Mac OS? No, CDR File recovery tool is not yet developed for Macintosh OS. It is compatible with only Windows. Is there trial version of this tool available? 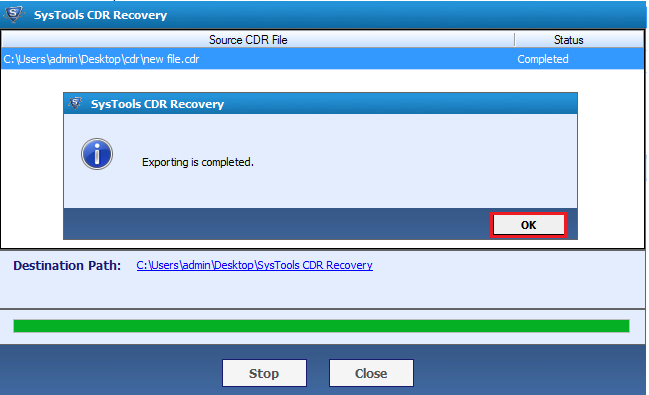 Yes, user can easily download the trial version of CDR Recovery and can get the preview of recovered cdr files. What is the size limit of cdr files which can be recovered using this Repair CDR tool? There is no limitation on size of cdr file, user can recover cdr files using this tool without any size restriction. Minimum 1 Ghz processor is required (2.4 GHz recommended). Atleast 512 MB RAM in system is rerequired (1 GB recommended). 13 MB of free hard disk space should be available to run the software. Amazing software to recover the deleted data of cdr files. Few days before, my system got virus attacked and I had lost my most of the data from Coredraw database file. CDR Recovery tool helps me to regain all of it. A big thanks to team of Intrigua Recover CDR tool. This is a best tool to recover the corrupted Coreldraw files into new file without losing any data. It has a very simple user friendly interface. I would like to suggest CDR File recovery software to all who want to recover their deleted data from CDR files. © 2016-2019 INTRIGUA Software All Rights Reserved.